Major multimedia companies like Disney and Comcast have already made large investments into esports. Expect more traditional media conglomerates to follow suit in 2019. The buy-in of traditional media outlets should help esports to become a bigger story outside of the niche circles it has grown up in. 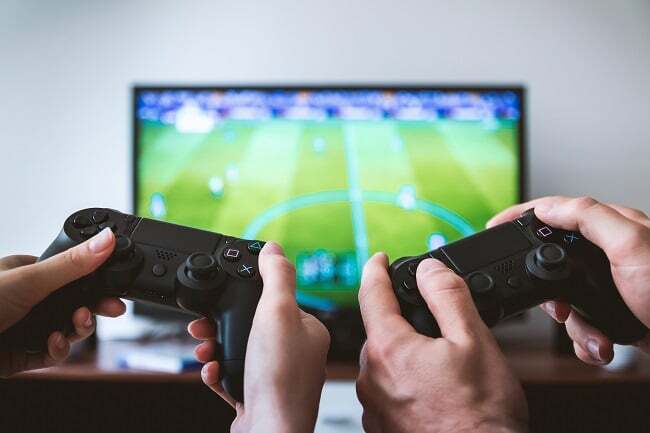 Similarities can be seen between esports at its current stage and the popular worldwide fighting league, the UFC, which had a cult following initially, but grew into a smashing success after it started being covered on Fox Sports. The increasing popularity of the esports scene has also driven the growth of a large product’s market. For example, computers and peripherals are often marketed now by popular esports personalities. As people become more and more interested in this industry, products like gaming laptops should see a corresponding spike in purchases. For those who don’t know, Twitch is an online streaming platform where content creators can live stream their gaming sessions for fans. However, Twitch has also struck deals with many of the most popular esports leagues in the world. League of Legends, the Overwatch League and more, all stream their biggest events on Twitch. The company’s combination of popular streaming personalities and large-scale esports events should help Twitch grow even more in the coming years. Still, keep an eye out for Youtube in the streaming platform arms war. The company started 2018 with just a 15% of total streaming hours watched. However, it grew significantly over the year to end with a 25% share of the same market. That being said, Twitch is still operating at a significant advantage. In fact, 2.5 billion hours of content were watched on Twitch during the third quarter of 2018 alone. Expect both Youtube and Twitch to continue their growth as esports and gaming content creation become more and more popular. Overwatch is a popular video game, which was created by Blizzard. It combines the strategy of MOBAs with the mechanical skill of an FPS. Blizzard launched the inaugural season of the Overwatch League in 2018 to smashing success. The OWL is the first esports league that replicates traditional sports leagues like the NBA and NFL. Teams are city-based, which helps build fan loyalty and passion. The OWL is also a global league, with teams spanning from Los Angeles to Paris to Seoul. Investors and creators of other games with esports offerings will be watching the second season of the OWL closely. If the Overwatch League can build upon its initial success, it could become the standard by which all esports events are judged. Don’t be surprised if whispers of an OWL replica for another popular esports title begin to be heard in 2019. 2019 looks to be another promising year for esports. With strong viewership numbers and a still burgeoning investment scene, the industry is primed to continue growing for years to come. As esports continue growing in popularity, so too will their acceptance in mainstream culture. Ultimately, esports should soon reach the same status as traditional sports. Sports Techie, esports are here to stay much like instant replay technology in sport. Colleges now offer degrees in gaming. Professionals earn millions in winnings and endorsements. Sponsors are glad to have a way to engage with this massive sized consumer group. Gaming has indeed officially crossed over into the mainstream. Fans are super knowledgeable about this new frontier of sports. Big companies are swooping in to help the space accelerate forward to meet the demand. New channels are rising in popularity to challenge Twitch, the incumbent in the space, for viewership numbers. New gaming leagues are rising up to challenge traditional sports for players, fan eye-balls and sponsors. Will eSports one-day overtake traditional sports? At the very minimum, a merger of the two seems most likely in the near future.